Versions let you keep track of your project changes. Once you've received feedback for a project image, you'll likely want to update your image with some changes. 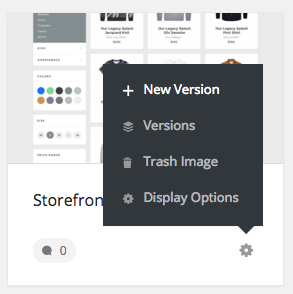 Versions lets you add a new version of your project image, while keeping track of old versions, comments and approvals. You're also able to restore previous versions with the click of a button. 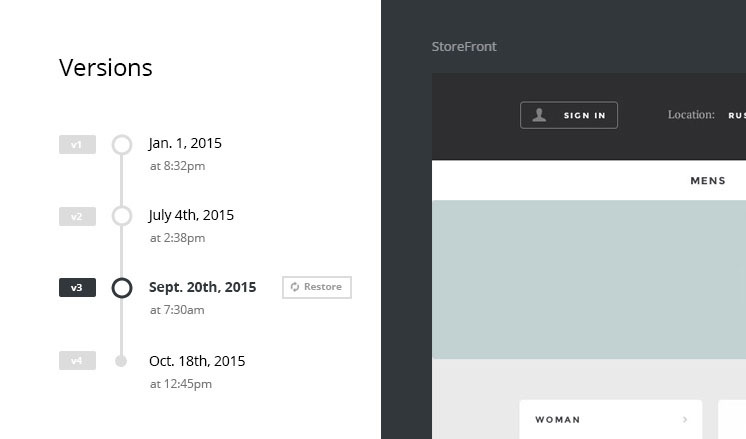 From the backend of your WordPress site navigate to your project page. To add another version of an image, hover over the gear icon for on image and click + New Version. You'll be prompted to add a new image which will be added as a new version. To restore a project image to a different version, hover over the gear icon for the image and click Versions. You'll see a list of the versions that exist and the date they were created. You can navigate between versions by clicking on the previous versions of the image. When you want to restore an image, hover over the version you'd like to restore and then click Restore. Note: All comments and approvals are always saved with a version so they can be easily restored when you restore a version. Be sure to Update your project after making any changes.